Most forms of gambling in Ireland are legal and it is possible to place a real cash wager at numerous land-based gaming venues (but not casinos, which is explained further down) and also at a growing number of online gambling portals. The Irish spend billions of Euros annually on gambling and the very first legally permitted Irish gaming sites appeared online in 2003. The first sportsbetting websites and several other real cash gambling portals appeared online one year later. Ireland’s home-grown sportsbetting operators offer their web-based services under the terms of their bookmaking licenses. Irish residents can take part in the National Lottery via digital television, telephone and internet mediums and this official Lottery website also started offering instant win games and draw games in 2009. There are only a few Irish-licensed gambling portals available online today, so the majority of gamblers in Ireland spend their money in offshore licensed gaming sites which are owned & operated by foreign companies. This means that none of the tax revenue which is generated at any of these sites goes to the Irish government. Over the past few years, the Irish government has tried amending its gaming laws in an attempt to recoup some of these yearly losses in tax revenue. In 1956, the Gaming and Lotteries Acts was introduced and this Act was brought in to better regulate the industry. This Act meant that it was no longer possible to gamble in land based casinos. However, certain loopholes in this Act meant that meant that it was possible to place a real cash wager in certain ‘private member gaming clubs’. Discussions have been made in recent years to try and get rid of the loopholes but they still remain in 2015. The main reason why gambling operators are not based in Ireland is to avoid tax, and this is why so many of the foreign operators are licensed either in Alderney (by the Alderney Gambling Control Commission), in The Isle of Man (by Gambling Supervision Commission), in Malta (by the Malta Gaming Authority – formerly the Lotteries & Gaming Authority of Malta), in Curacao (formerly Netherlands Antilles, by the Curacao Internet Gaming Association / CIGA), in Kahnawake, Quebec, Canada (by the Kahnawake Gaming Commission), or in Antigua and Barbuda (by the Directorate of Offshore Gaming). 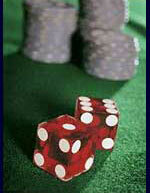 You will also find that many popular Irish casinos are licensed in the United Kingdom (by the UK Gambling Commission). The best Irish online casinos today support multiple languages, they accept Euros and they accept a wide range of suitable online payment options which are popular with Irish players. They are all free to sign up to, they are powered by the industry’s leading online casino software providers and many of them provide 24 hour toll-free support. Head over to our online casino review section now to find out more about today’s best online casinos for Irish players. Gamblers Anonymous - The Irish Gamblers Anonymous help services with meetings on Naven Road, Galway and Cavan Town. Gamble Aware - Provides information about the facts surrounding gambling, info about recognizing a problem early and full help services for those who do have gambling problems and are based in Ireland.